Peru proved to be amazing. 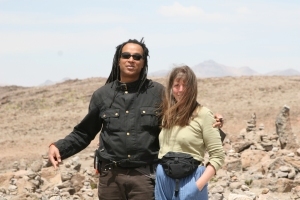 The people were genuine and gentle; the country itself was so diverse several lifetimes of exploration would not do it justice. 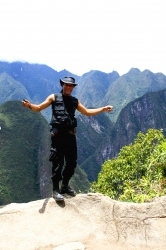 Macchu Pichu came above expectations and the days in the jungle were a time to be close to nature. Creatures and colours remain fresh in the mind and bring a renewed energy to the world of creativity. It would be good to go back to see more. Lake Titikaka gave a whole new idea of size to the word Lake! Three hours out into the middle to visit an island and still no sign of the other shore – more like a sea and beautiful to behold. Fascination of the Inca skills with building and design underlay everything to be seen. How did they create their buildings so exactly and with no modern equipment?